We are an approved CVRT Centre and VTN member. We are a motoring assistance company based in Waterford, Ireland. We specialise in vehicle recovery, international transportation, commercial vehicle testing, repairs and maintenance. 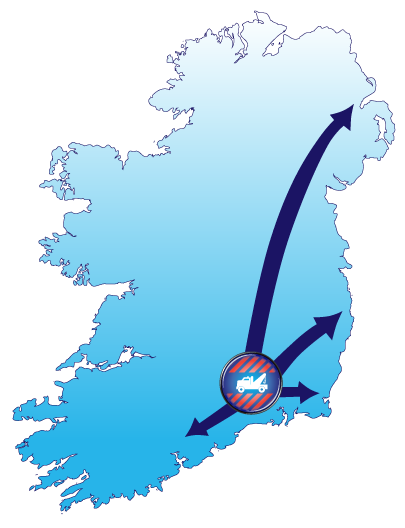 Conveniently located in the south east of Ireland, we are within easy access of the major motorways and ferry ports. We provide a 24 hour vehicle recovery service to all motoring clubs and insurance companies. We also respond to distress calls from the general public, and if need be, can put you in touch with an out-of-hours tyre and electronic key service. Whatever your predicament, feel free to call us, and if we can’t help you, we’ll know someone who can.